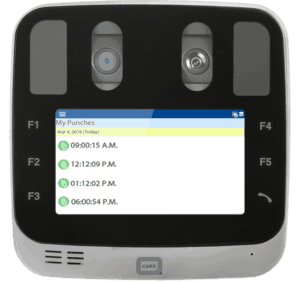 The Easy Clocking Xenio i1000 Iris Recognition employee time clock. 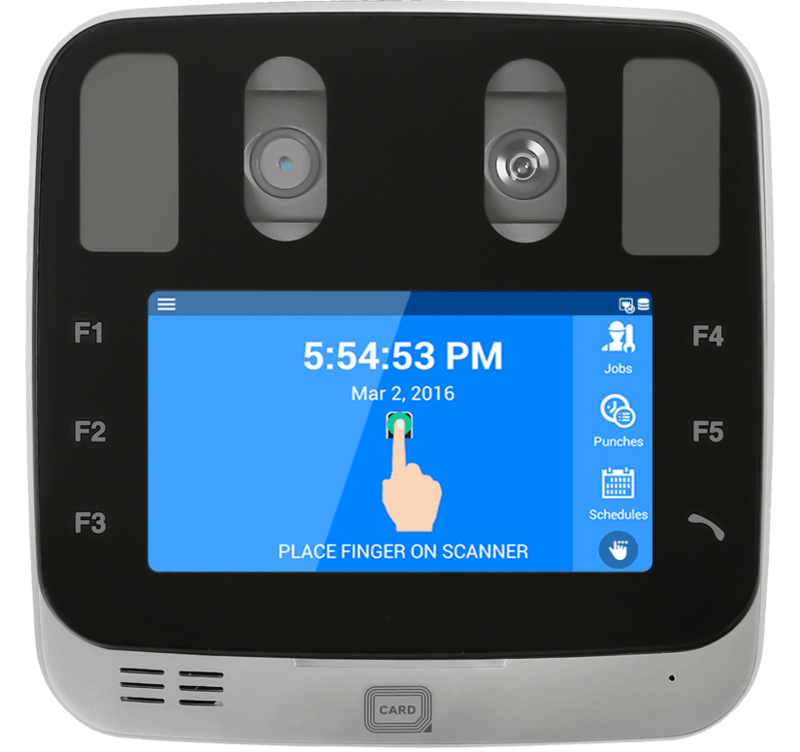 Included with this Iris Recognition employee time clock are the Easy Clocking Cloud Time and Attendance Software, remote login cloud software setup and consulting and 12 months factory back to base warranty on hardware. The XENIO-i1000 is the most advanced iris recognition terminal designed for today’s connected cloud and IoT “internet of things” world. This robust, contactless and hygienic solution verifies a user’s identity based on the characteristics of their iris. While many mistake it for retinal scanning, iris recognition simply takes a picture of the iris; this picture is used solely for authentication. The user stands in front the iris terminal and in less than a second their identity is verified. Iris recognition is the most accurate form of identifying an individual in high traffic areas.